This is the most searched, but also one of the most debated questions we have encountered. And you might be surprised to see that we advise against feeding ducks bread. After all, haven’t we all seen people giving leftover bread crumbs to ducks at a local river or pond. Chances are you’ve even done this yourself. So why is bread bad for ducks? Bread is actually a good source of carbohydrates but other than that it offers little nutritional value for ducks. Eating a lot of bread will make a duck overweight and can even lead to malnutrition. Offered in extreme moderation, bread is not harmful to ducks but especially for wild ducks that moderation is very hard to judge. Can Ducks Eat Moldy Bread? Feeding ducks bread can also lead to a number of other problems. 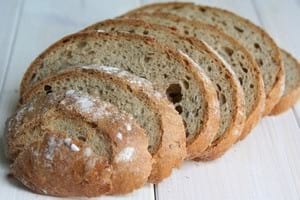 Uneaten bread in water can cause algal blooms, which in turn can affect water life and cause plants and fish to die off. Moldy decayed bread can lead to diseases among ducks that in some cases can even be fatal. Young ducklings are especially sensitive to not getting the right nutrition for healthy growth from a diet of mostly bread. Conclusion: our advice is to not offer ducks bread and opt for healthier alternatives. Do you know some alternatives for feeding ducks? Let us know in the comment section below.